You, Me and Movies: Quentin Tarantino to tackle Charles Manson? Quentin Tarantino to tackle Charles Manson? 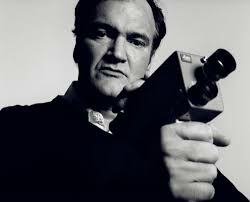 Quentin Tarantino is one of my all-time favorite filmmakers. But, kinda like Sylvester Stallone, he kinda breaks my heart. He's the kind of guy who likes to talk about his ideas for movies, even though he can't get to every idea at one time, and sometimes they fall by the wayside. He has talked about making a sequel to every movie he's made ("Vega Brothers" starring John Travolta from "Pulp Fiction" and Michael Madsen from "Reservoir Dogs," "Kill Bill: Volume III" "Killer Crows" about black troops in the same World War II universe as "Inglorious Basterds"), he was in talks to direct a James Bond film at one time, he has talked about a 1930's gangster movie, a 1970's spy film, various book adaptations, a kung-fu film completely in mandarin, a science fiction film and, dare I say it, a kid's movie. Quentin is a happy-go-lucky guy who likes to hear himself talk, for better or for worse. It stinks because I would happily sit through any of those ideas I listed, I would have loved to see him make a "Marvel's Luke Cage" movie (Can Netflix PLEASE hire him to direct an episode for season two?) I love Tarantino's style and I love the way he likes to take his fetches and his tropes and play in different genres with them. He was exclusively a slick crime guy in the beginning, nowadays he plays with the genres that inspired him. I love it, and I would pay him to do more of that if I ever obtained the funds. Apparently, the story of the day yesterday was that Quentin Tarantino's next film will "takes place around the events" of the Charles Manson Murders. Let me be clear, this is not some kind of adaptation of Charles Manson. People seem to be in complete uproar yesterday, thinking Tarantino would glorify Manson. Read carefully there, "takes place around the events." I am betting that the film will revolve around some cops on the trail, or taking care of case that is inspired by Manson. Something of the sort. I don't think we are going to get a straight up adaptation of Charles Manson, but the it will be in the background and it will be important towards the story Tarantino ends up telling. The bottom line is this, I love Quentin Tarantino. I will watch anything and everything he is linked to. But, goddamn, I would kill to see his 1970's spy film. Tarantino has said many times that he plans to retire from directing once he's made ten movies. This Charles Manson movie will be his ninth film. Goddammit Quentin, if I don't see your 1970's spy film, I am going to kill you!